How does it feel to be constantly regarded as a potential threat, strip-searched at every airport? Or be told that, as an actress, the part you're most fitted to play is `wife of a terrorist'? How does it feel to have words from your native language misused, misappropriated and used aggressively towards you? 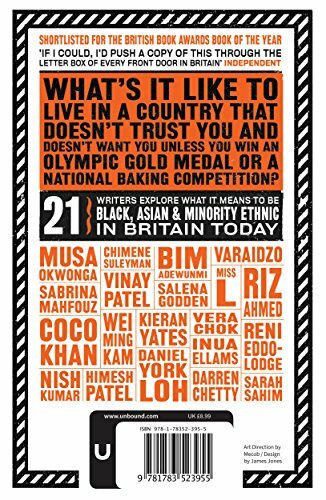 How does it feel to hear a child of colour say in a classroom that stories can only be about white people? How does it feel to go `home' to India when your home is really London? What is it like to feel you always have to be an ambassador for your race? How does it feel to always tick `Other'?Bringing together 21 exciting black, Asian and minority ethnic voices emerging in Britain today, The Good Immigrant explores why immigrants come to the UK, why they stay and what it means to be `other' in a country that doesn't seem to want you, doesn't truly accept you - however many generations you've been here - but still needs you for its diversity monitoring forms. 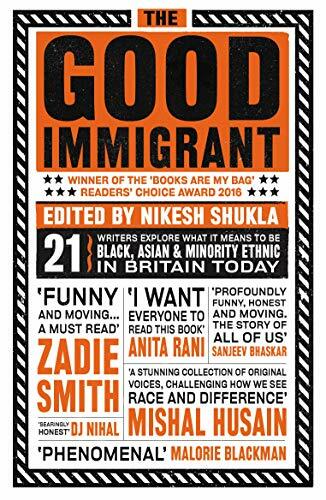 Inspired by discussion around why society appears to deem people of colour as bad immigrants - job stealers, benefit scroungers, undeserving refugees - until, by winning Olympic races or baking good cakes, or being conscientious doctors, they cross over and become good immigrants, editor Nikesh Shukla has compiled a collection of essays that are poignant, challenging, angry, humorous, heartbreaking, polemic, weary and - most importantly - real.